The National Geographic W2160 Walkabout Medium Satchel (Gray) is designed to carry a small digital SLR camera or a small camcorder. 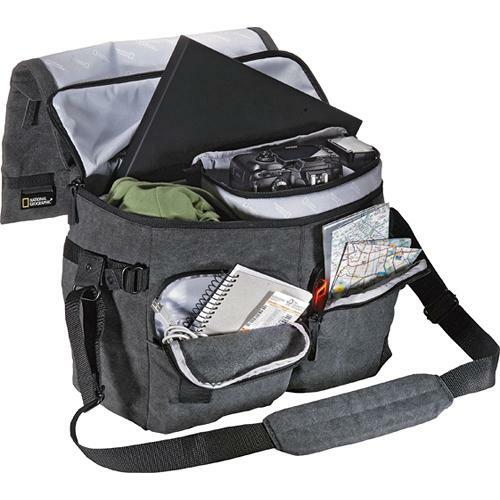 There is a removable padded insert to carry the camera and accessories plus a padded compartment that holds a laptop computer with a screen up to 15.4". 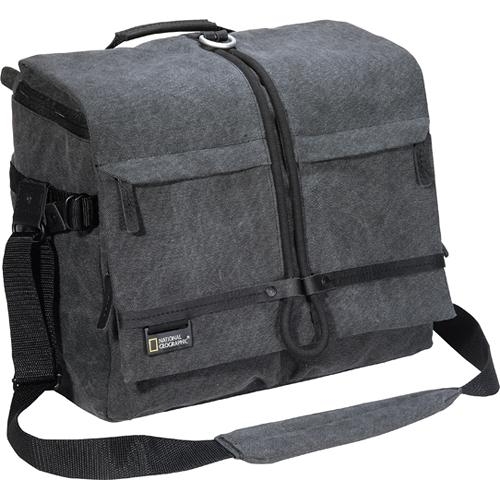 The bag is made from waterproofed cotton with a nylon lining and interior foam padding. There are two easy access pockets for accessories. 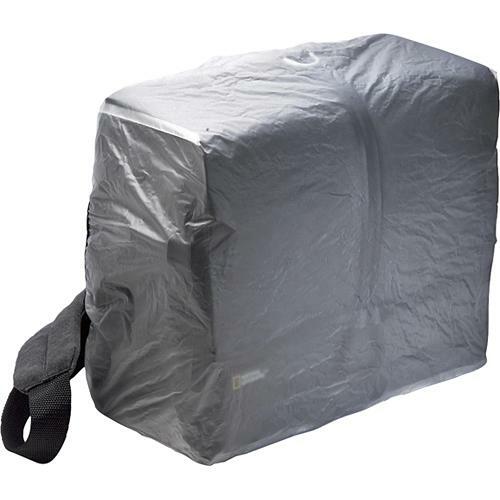 The satchel has a removable, foldable rain cover that protects the bag and contents from the elements. 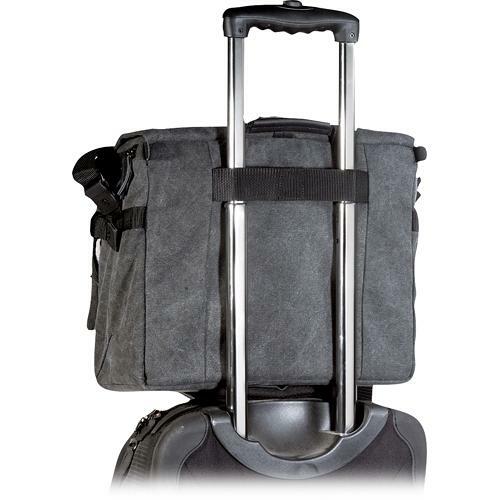 It is carried by a carry handle, a removable, adjustable shoulder strap and a rear strap that slides over a trolley handle. 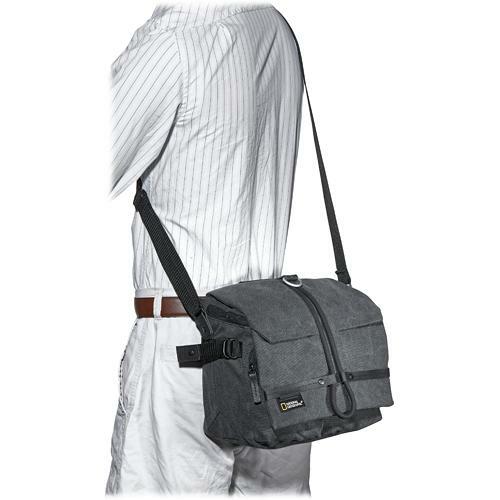 Padded compartment holds a laptop with a screen up to 15.4"
This Product Is 100% Original Quality .